In Residence Life, we work with you to help develop the skills needed to become an independent and strong individual. By promoting your personal and academic growth, we extend the educational experience beyond the classroom and lecture halls. The best part is, you choose how you wish to be involved! Getting involved in residence is easy. Whether you enjoy social activities with your friends, helping others with academics, being part of the team or making changes for everyone by being active in student leadership, it’s all here and it’s all for you! Living in Residence, you will also learn how your contributions help develop a unique and diverse experience. We have students from across the globe that will not only help you learn more about different cultures, languages and histories but will also help you gain a strong sense of how you fit into the global community! Residence Life is like nothing you have ever experienced before! Our Residence staff are available to help residents adjust to all of the new experiences that come with post-secondary education, including the Residence Life Program, Building Services (Housekeeping and Maintenance), Safety and Security of Residents, Staff and Guests. They are committed to making your time in Residence a positive and memorable experience that will benefit you for life. The Operations Manager is responsible for the operation of all facets of the Residence experience. The OM is committed to ensuring that your overall experience in Residence is a safe, enjoyable and successful one. The Residence Life Manager (RLM) is responsible for the overall operations of the Residence Life Department. In conjunction with the Residence Life Coordinators, the Residence Life Manager ensures our mission statement and principles are met in a fair and consistent manner. The Residence Life Coordinator provides direct leadership to the Residence Life Staff. The RLC also participates in an on-call rotation, takes a leadership stance with emergency and crisis intervention, and general direction of the Residence Life Team. Your Resident Advisor is here to help you transition into your new community. Their role in the community is to plan academic and social programs, assist you with academic and personal concerns, and ensure the safety and security of the building. They are here for you to make your Residence experience the best that is can be. Residence Council is an elected group of students that advocate on behalf of the Residence community. 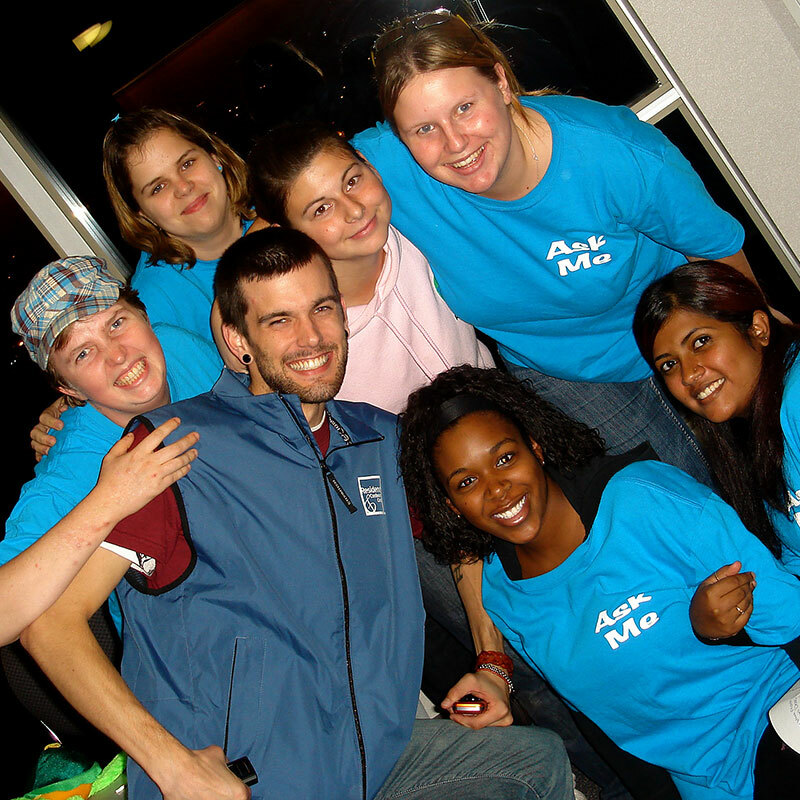 Residence Council members contribute to the community through programming, participating as committee members and by advocating on behalf of Residence students. Residence Council consists of elected executive members and floor representatives; all students are welcome to apply to be a Residence Council member. Residence Services Representatives are here to help you with any questions you may have about the Residence and the surrounding area. You can find the RSRs at the Front Desk or at extension 5000 (King) or 6000 (Newnham). Housekeeping staff are responsible for the upkeep of all common areas in Residence. Housekeepers access suites on a bi-weekly basis to complete a regularly scheduled light cleaning of the kitchen surfaces and bathroom area and report any concerns that require attention from the management team. The Maintenance team assesses work requests and performs repairs as required. Maintenance staff also conduct preventative maintenance on Residence facilities to reduce the probability of deficiencies that may cause inconveniences to our residents, staff and guests. Questions or concerns about these services can be directed to the Front Desk or at extension 5000 (King) or 6000 (Newnham).If you require maintenance in your suite, log onto MyHousingPortal to submit a maintenance request. When moving into Residence you are offered the opportunity to be a part of a welcoming community that embraces the unique experience of our students, and fosters a culture of inclusivity. This is achieved through the implementation of programming focused on wellness, academics, diversity, citizenship, and interpersonal development. Our Residence Orientation is designed to assist you in your transition to Seneca and prepare you for success. Transitioning to life at college means more independence and more responsibility and, if you’re like most students, you are probably looking forward to the adventure, but it can also a bit scary! Residence Orientation aims to calm your nerves and helps familiarize you with campus and your college community. Orientation begins with your move into Residence, and a number of programs including an introduction to all of Seneca College’s Student Services and Support programs; this information can make the difference between just getting by and excelling at college. In addition to these sessions, we also include many social events and activities both on and off campus. You’ll feel confident starting your first day of college, knowing your way around campus with your new friends. As a parent or guardian, you will want to ensure you go over the acceptance process with the student. This will make sure that you are all aware of the payment schedules, deadlines and the rules and regulations of residence. We treat each student as an adult and for most students, the experience of living in Residence will be the first time they will be on their own. The Residence staff are here to help with the transition into their educational careers and provide as much support and assistance as possible. All statements, invoices, and refunds are delivered to the student and we are unable to give out information regarding a student without their permission. In regards to refunds; cheques are made payable in the student’s name and therefore it becomes their responsibly to ensure all deadlines are met. By placing this responsibly on the students, it is our hope that it helps them develop a better sense of personal financial management. If possible, we recommend that all parents or guardians take a tour of the Residence to better understand where the student will be staying. Our staff are here to answer any questions you may have and encourage you to stop by and visit. We offer tours at any time; feel free to contact the Residence Front Desk in order to book an appointment. If a student is having any challenges or concerns in the Residence, please encourage them speak with Residence staff. Our staff are fully trained in dealing with Residence concerns, and will work with every student to ensure they are satisfied with their Residence experience. These contacts are used if concerns or problems arise with the resident. In most circumstances will be treated without reference to their parents or primary/secondary contacts. The manager of Institution may contact the primary or secondary contact at any time and of for any purpose including to advise them of an incident or injury; overdue finance; termination of residence agreement; any situation where the resident may cause harm to themselves or others; or if the resident is placed on probation and or issue behavioral contract or eviction by manager. The manager or the institution may disclose the resident personal information in such communications, and the resident hereby consent to this discloser. Being an RA is a life changing experience. The skills and experiences gained from this position prepare student leaders for careers in almost every field. We are not currently accepting RA applications. Please check back for details, or connect with our Front Desk team if you have any questions.